The biochemical cause of menstrual cramps are the hormone like chemicals known as series-2 prostaglandins. They trigger the contractions in the muscular wall of the uterus, or womb. The over the counter drugs also helps a lot in eliminating the pain but you develop dependency and tolerance over time. By knowing how to eliminate some foods that you eat which actually trigger the formation of these hormones, you will significantly reduce your incidence of menstrual cramp pain. There are also some food that actually halts the production of these prostaglandins. It is advised to cut the fats that you eat since it determines in large part the susceptibility to cramps. If you are taking drugs to reduce the severity of cramps but you feed the biochemical pathways that cause cramps, you are working cross purposes. An herbal formula using tinctures of black haw, ginger, valerian and motherwort is very effective for relieving menstrual cramps. Valerian is a general relaxant, black haw specifically relaxes the uterus and ginger moves the life-energy or what is called he chi. Motherwort helps restore health in almost any situation of gynecological imbalance. The omega-3 fatty acids controls cramp causing chemicals. While the arachidonic acid in red meat and dairy products stimulates series-2 prostaglandins and causes cramps, a component of another type of fat-the omega-3 fatty acids found in certain fatty fish and oils-keeps those prostaglandins trapped in cells. The Vitamin B6 helps the body convert fatty acids to a form that helps produce pain-relieving chemicals. It’s recommended to take a daily dose of 50 to 100 milligrams as part of the vitamin B complex supplement which also helps reduce cramping. Vitamin C is also needed to reduce fatigue. It works by dilating the blood vessels bringing more circulation and oxygen to the uterine walls. So you see, there are other ways to beat the pain that is being endured by most women during their menstrual periods. It’s not supposed to be painful but when it happens, watch what you eat and stay in good health. After the awesome party last night, you wake up to a throbbing head and a not so good morning. Then you realize all the booze you had at the party and now you have to deal with the one of the nastiest things you can wake up with – a hangover! Here are a few tips to get you walk a straight line in a flash. You bet! Drinking does not necessarily call for alcohol – unless you would want another round in the morning. Whether it is water or fresh juice, drink plenty of liquids to keep your body dehydrated. Drinking fluids can help you flush out the alcohol in your body faster. It can also replenish electrolytes that have been lost while you were dehydrated. You have lost loads of potassium while drinking and while getting drunk. A good way to replace them is to eat a banana or two. Bananas contain potassium that can help you refuel energy as well as some essential minerals to finally get you up and about. Make a fresh cup of ginger tea by pounding or grating fresh ginger and adding boiling hot water over it. You can even add honey to make the taste more acceptable. If you’re up to it, you can add some fresh orange juice to alter the taste. If you’re too tired to do all these, grab an instant ginger tea that’s commercially available. 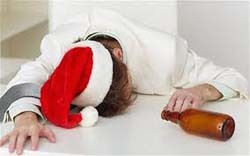 Read my other tips how how to prevent a hangover on my article. More articles can be found at my blog. Whether you have made a wrong hip turn, bent way too much or you’re finally in your senior years, dealing with a backache is no easy feat! Sure, there are a lot of pain killers out there and you can always call your masseuse to schedule an appointment. However, these methods can have negative impacts on your body in the long run. Not only are pain killers made of chemicals but they also have bad side effects including mood changes and even drug dependence. Getting a massage is relatively safe provided that the masseuse is professionally trained. Otherwise, you might end up with muscle and even bone damages! It is therefore a safer option to stick to non-invasive and natural ways to help alleviate the pain brought about by backaches. You can apply a cold and then a hot compress on your back to help you feel better. A cold compress is ideal for back strains right after they have occurred as they help reduce inflammation and pain. All you need are ice cubes, a plastic container and towel or cloth to wrap around the plastic container. After 2 days or so, you can start applying a hot compress to help sooth your back and increase blood flow.To make a hot compress, simply soak a towel or cloth with warm water and apply it to your back. 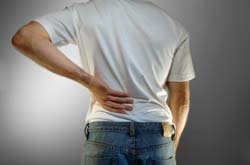 Drinking teas can also help relieve backache.Some of the most common pain-relieving teas are ginger and chamomile. Making ginger tea is very simple. Simply grate or pound fresh ginger and boil it with hot water. you can add brown sugar or honey if you like . For chamomile tea, use chamomile flowers and boiling water or simply purchase them from the supermarket. If you have something to share, please comment at the comment box below. Get more articles from my blog. The struggles of motherhood do not only consist of growing a baby in a matter of nine months and giving birth to it but also includes a lot of discomfort and pain. Indeed, mothers and those who are expecting will truly agree when I say that two of the major culprits that have ruined the joy of pregnancy are nausea and vomiting. They are categorized as part of the morning sickness symptoms. Most likely this discomfort happens in first trimester of pregnancy. Here are a few tips to help you get through these tough times and reduce pregnancy complaints. Eat small, frequent meals instead of eating larger ones spanned throughout the day. One of the primary reasons why pregnant women vomit is that they have eaten too much. Avoid having an empty stomach. Conversely, some pregnant women vomit fluids and even gastric juices because there is no food in their tummies. Avoid odors and foods that make you feel nauseous. Take on ginger candies or drink ginger tea. You can make ginger tea by making use of grated or pounded fresh ginger and some hot water. Avoid getting up from bed too fast. Once you have awakened, stay still and sit up for a while before standing up. Have some plain salted crackers (or any bland food) by your bedside. You can munch on them in the morning when you wake up or during dawn when you feel hungry. Try using acupressure bands. This crude device has helped ward off sea sickness in sailors and seamen. While your being nauseous isn’t exactly the same with their condition, some pregnant women have had relief after using these bands. Finally, always remember that prevention is better than cure. If you can stay away from things and keep off activities that make you nauseous, there’s a lesser chance of vomiting. If you have better tips and experience to help relieving nausea and vomiting during pregnancy, please share with my readers. To get more articles, please visit Natural Health Care Reviews.